He received his first painting lessons at the Art School on Corfu. 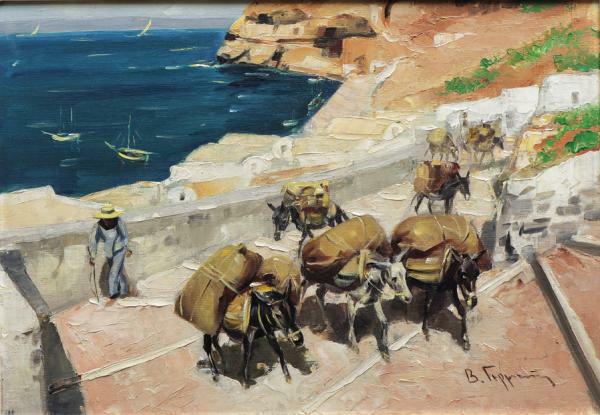 In 1915 he enrolled at the Law School and the School of Fine Arts in Athens,which he attended until 1921. He participated in the Venice Biennale (1934). In the mid-1950s he went to Ethiopia, where he became apainter to the Emperor Haile Selassie and remained in Addis Ababa for five years. His oeuvre consists of genre paintings, portraits and, mainly, landscapes; he also worked as a sculptor and printmaker.